Mabuhay! 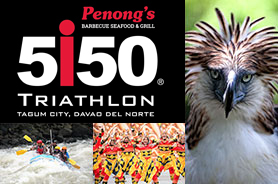 Welcome to the Penong’s 5i50 Triathlon Davao website. We are very excited to be able to host this event. After 10 years of successfully staging the IRONMAN 70.3 Philippines and the Ironkids Philippines, we are very pleased that Sunrise Events has been awarded by the World Triathlon Corporation the rights to stage the 5i50 Series. The 5i50 series is the Olympic Distance brand of WTC. Our aim with this event is to encourage even more people to adopt a healthy lifestyle and embrace multisport training and racing. While we recognize that people may have an IRONMAN or IRONMAN 70.3 event as a “bucket list” item, we also realize that you need to start somewhere and this event does exactly that. The distance is still challenging for the novice triathlete and we hope to encourage many individuals to start with this distance. As more and more people seek a healthier lifestyle, triathlon is well positioned to attract many new participants. One way of encouraging this is by offering relays. I am pleased WTC has agreed to this and we will have several categories in the relay division. We believe that by offering relays, we will end up getting full fledged triathletes from this group as these participants will discover the joy and challenge of completing all three disciplines. At the same time, seasoned triathletes will enjoy the standard distance as a way to improve on their speed and add yet another race to their calendar. We are working closely with our partners and sponsors to ensure you have a comfortable and unique experience that will encourage you to return year after year and hopefully get you to have your triathlete friends come as well. 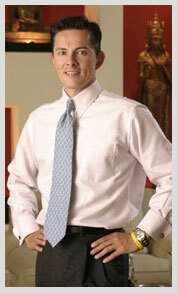 Thank you for your interest and we look forward to seeing you at the finish line.